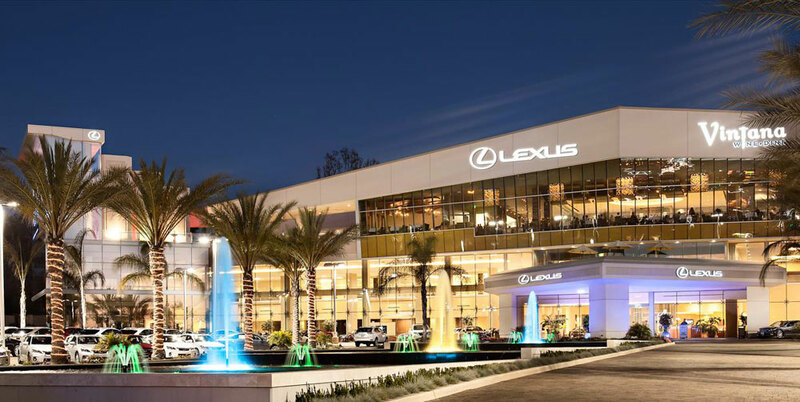 The building catches customers’ attention with sweeping glass windows and large signs bearing logos for Lexus and Vintana, the 10,000-square-foot restaurant on the building’s second floor, overlooking the entryway. The building also has about 5,000 square feet of retail space, including a salon, a boutique clothing store, a library, massage chairs and an art gallery featuring the work of local artists. In addition, it has about 25,000 square feet of space for events ranging from corporate meetings to weddings. It hosts about 600 events each year, Davis said.